With over 6 decades experience in the floral indusrty,J.J. Neville & Son's Ltd is a staple in the flower business. Quality & Service is what sets us apart from the rest. Creative trained designers can custom a professional design unique to your occasion. In keeping with Neville's commitment to excellence, the entire staff at Neville's is dedicated to providing you with professional, personalized service that ensures your experience will be a pleasant one for you, your friends and your family. We are an award - winning florist. Consumer's Choice Award for Business Excellence. Over the years J.J. Neville has become a symbol of the very best in the floral industry. Our customer data base includes leading corporations, funeral homes, restaurants, hotels, and thousands of individual customers, each who are equally important to us. We offer same day delivery service to all Metro St. Johns and surrounding areas on orders received by 1pm local time. "Let Flowers Whisper What Words Can Not Say ...."
Our shop is open Monday through Saturday from 9:00 a.m. to 5:00 p.m.
To help assure on-time delivery during the busy holiday season, place your order AT LEAST ONE DAY PRIOR TO the followiing MAJOR HOLIDAYS: Christmas Day, New Year's Day, Valentine's Day, Easter, Administrative Professionals Week and Mother's Day. 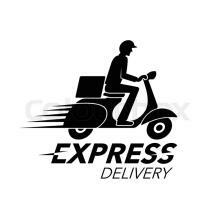 ***Please note EXPRESS DELIVERY is not offered during peak Holidays. Our shop serves the following areas with our "Own" personalized delivery Van & Staff. St. John's & Surrounding Areas, Mount pearls, Goulds, Petty Harboue, Torbay, Flatrock,Portugal Cove-St. Phillips and Conceprion Bay South. We also avail of Taxi Services to get bouquets to Bell Island, Bay Bulls and the Souther Shore including Trepassey & Fermeuse. If you have a question regarding any area not mentioned, please do not hesitate to call us at 709-579-5300. (709) 579-5300 or toll free at (800) 465-5300. We are always available to help with your floral selection. Our best advertising is providing the best quality and service available in the market. Fell free to stop by for a vist or a chat. You'll Never know what you'might find ! A local delivery fee of $15.99 will be added to each order. We can also get deliveries to Bell Island, Bay Bulls, Trepassey & Fermeuse and surrounding areas by Taxi. Deliveries to these areas are from Monday to Friday, as no Taxi will service these areas on the weekends. For deliveries outside our local area, the fees do vary. Pease fell free to call to get current Delivery pricing. Delivery charges for out of town are per parcel. Order must be placed before 1:00pm in the recipients time zone to assure same day delivery. Orders received after that time may be delivered the following day. We do call the recipeint to arange a suitable delivery time ( not during major Holidays, unless requested). If you prefer we do not call, please let us know, an additional charge may be billed for each delivery attempt, unless a phone call is permitted, to arrange a convenient delivery for the recipient. To guarantee delivery we require a phone number/numbers for the recipient as well as a phone number/numbes for the customer, should their be an issure with your order and/or delivery. To place orders for other City/Areas outside of St. John's, you would have to call our office, 709-579-5300. We can arrange delivery throughout Newfoundland, Canada, United States as well as Internationally. Additional charges apply and you will be notified when placing your order. We are unable to accept these orders on our website. Their must be an affiliated florist in the area. Occasionally, substitutions may be necessary to create your bouquet due to the availability of certain flowers in various parts of the world. Care is taken to maintain the style, theme and color scheme of the arrangement, using flowers of equal value. Additionally, the substitution of certain vases and or vessels may be necessary due to increased demand, especially during major holidays. All orders are filled to full value if a substitution is required. Please keep in mind that flowers are seasonal. Occasionally pricing errors may occur and the customer would be notified. We make every attempt to keep all information on this site current. Our artisans take great pride in filling your order. Each order is custom and we make every attemt to get you your desired bouquet.